Okra is technically an edible seed pod that is part of a subtropical plant from the hollyhock family. 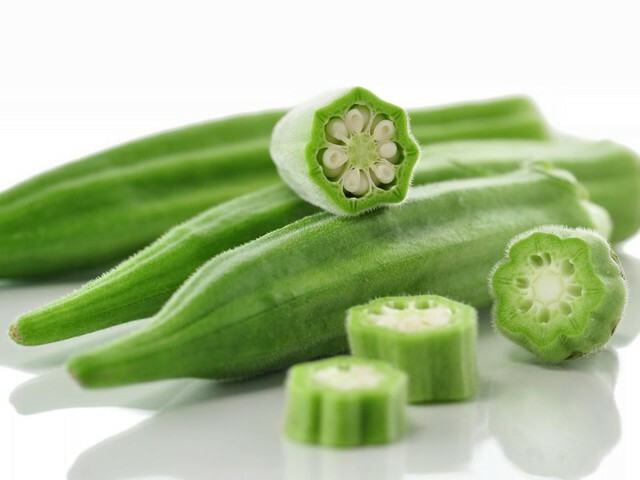 The source of the name “okra” comes from the African word “nkuruma,” which originates from the Twi language. It is generally agreed that the vegetable was first cultivated in Africa, perhaps in West Africa or Ethiopa. Though it was supposedly grown on the banks of the Nile during the 13th century, there is no historical evidence recovered from Egyptian tombs. Since okra was a plant with origins in Africa, it’s likely that the slave trade was responsible for bringing the plant to the New World. By 1658, the Brazilians had it, and the USA had it by the 17th century. Although there is also a legend that okra was introduced to America by the so-called “Cassette Girls.” They were 25 French women who had come to the New World in search of husbands for themselves. They had gotten some okra from slaves in the West Indies, and had used it to invent gumbo. Even the word gumbo is similar to “gombo,” which is another African word for okra. This partially explains the popularity of okra in the south of the US, where slavery was historically at its strongest. The pods themselves look like small, pentagonal green bananas. They are used as a thickening agent in soups primarily, but are also eaten on their own. Okra pods are also steamed or fried to create a delicious treat.